This article has been written for anyone seeking hijama treatment. 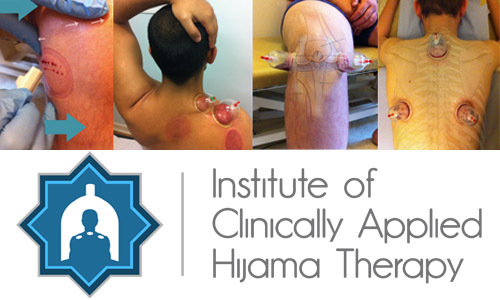 Hijama has long been practiced since the time of the Prophet Muhammad (PBUH). Not only did he encourage the use of Hijama but he also used it as a reliable source of treatment for himself. It must, however, be highlighted that it requires to be done correctly and by the right practitioners in the right context, as this way it is an effective method of healing and closes the doors for corrupting this authentic Sunnah of the Prophet Muhammad (PBUH). In order for its preservation and appropriate practice, below you will find some advice and tips before pursuing Hijama therapy. 1) Are they adequately trained? Allowing someone to take your health in to their hands is no joke. Ensuring that the person performing your Hijama treatment has a high level of training is vital to safeguarding against slip-ups, accidents and schoolboy errors. A one-day workshop & certificate of attendance is simply not enough. Make sure the person you entrust to perform the procedure has had hands-on training and has studied the human sciences behind Hijama and its implications to the body in various health states and conditions. 2) Is the equipment clean and single use?Blood borne viruses and infectious diseases are a real threat for someone having Hijama even here in the west. It is essential that all equipment used on each patient such as the cups, blades & gloves are all single use and disposable. Proper isolation or quarantine of infectious materials also prevents spread of infection and disease. Furthermore, using animal horns or glass cups that are reused between patients is not acceptable as they are porous & retain microscopic amounts of blood even after rigorous cleaning or so called home “disinfection” procedures. Ensure that the materials being used on you are single use and ask to see them beforehand if there is any doubt. (3) Is the practitioner a member of a reputable organisation? A practitioner that is a member of a reputable organisation or association has the responsibility to maintain the standards set out for its members. This often includes a self-regulation process and allows avenues for people to complain if the need ever arises. Indeed, this affiliation with other members puts a responsibility on the practitioner and creates consequences to their actions. An unregulated practitioner has no such worries and practices with nothing but their own conscience to answer to. (4) Does the practitioner carry out Hijama in a safe clinical environment? A properly trained practitioner working in a safe clinical environment, will be operating under health and safety regulations set out by local authorities ensuring a safe environment, limiting the possibility of contamination and risk of infection. A practitioner practicing in a make- shift clinic, back room closet or living room cannot guarantee the same standards. If you’re thinking of having Hijama therapy at home, please ensure that the environment is appropriate to do so, and that the practitioner has not only brought the appropriate equipment to perform the treatment but to also dispose of the sharps and waste adequately. If you are attending a clinic do some research about the clinic you choose first. This will not only give you peace of mind but it will also protect you from any health risks and harm that could result from improper administration of the procedure. Call the clinic before hand to ask about the practitioners, clinic policies, equipment and how they perform the procedure itself. (5) Are they safely disposing off waste? In the UK there are controlled waste regulations which state that sharp objects such as blades and hazardous waste including blood have to be disposed of by a clinical waste contractor. This means using designated sharps boxes and clinical waste bins. An integral part of clinical waste legislation is to ensure that the correct segregation and storage of waste is completed. This ensures it is managed and disposed of safely reducing the risk to humans and the environment. However, if the practitioner is taking shortcuts and breaking the law they are knowingly putting people at risk of infectious disease. Don’t take any risks and make sure you ask for this information before agreeing to any treatment. Health is one of the greatest forms of wealth & should only be entrusted to those worthy of such a heavy responsibility. compensation. This is because there will be difficulty in establishing that any harm or injury you may have suffered is definitely attributable to the failure of the practitioner. Undoubtedly this will allow the practitioner to escape any real consequences. Therefore, selecting a ‘competent practitioner’ is important because at the forefront of his mind will be the concern for your safety. Together this should ensure that you enjoy the experience and benefits of having hijama performed in a safe and risk free way as intended.